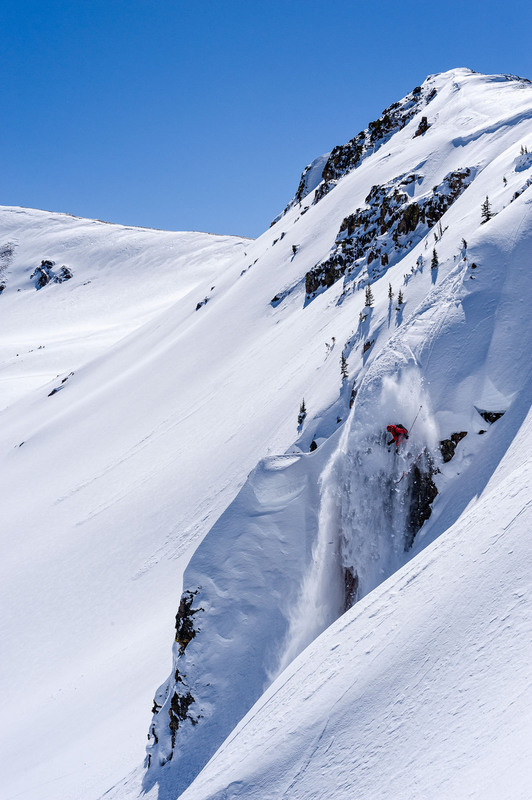 Extreme Skier Jumps off Large Steep Cliff in Backcountry Mountains. The rugged cliffs of the Erehwon Mountains. ProPhoto RGB.